KAPA® tech is the new and innovative lightweight foam board of 3A Composites. The pioneering composition of PUR foam and aluminum skins combines lightweight with rigidity. KAPA tech offers perfect characteristics for a lot of interesting applications in transport and industry, as well as in visual communication. It can be used on a variety of new applications including ceilings, interior fittings for trains and boats, and elevator cabins. 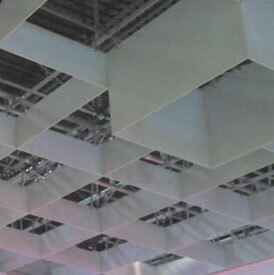 Additionally, the material is used for booth construction, POS/POP displays, and signage. This KAPA tech project was done in Spain for TEKA, sponsor of the Real Madrid basketball team. Using full sheets of KAPA tech, the images of each player were digitally printed and then routed out to create full-scale stand ups of the team. These were used at events so that fans could take pictures with their favorite players and the whole team. KAPA tech – in both the 3/16-inch and 3/8-inch thicknesses – successfully has met Class A material requirements when subjected to the ASTM E84 fire test, which measures a product’s flame spread and smoke development. Class A materials are approved for interior signage and other graphic display applications requiring the most rigorous fire-performance standards. In UL-94 testing, KAPA tech – in both the 3/16-inch and 3/8-inch gauges – has achieved a V-0 rating, which proves this material is self-extinguishing and will not support combustion.